The tax strategies of multinationals are in the spotlight. A committee of the European Parliament recently questioned eleven multinationals on their corporate tax practices. An opportunity to hear the views of large companies on an issue which has damaged trust in big business. A European Parliament meeting provided a unique opportunity to hear the views of multinationals including Google and Facebook on their corporate tax practices and current rules. There is worldwide interest in the tax policies of leading multinational corporations. 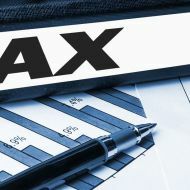 Ways in which they navigate the complex interactions between differing domestic tax regimes, lawfully in their view, have in some cases been widely reported as unacceptable tax avoidance. A YouGov research study commissioned by ICAS and energy firm SSE earlier in 2015 exposed a credibility gap between the public and big business when it came to trusting companies on their approach to paying tax. The study found that only a third of people thought most big businesses in the UK paid their fair share of tax, and just 6% would trust a company to provide accurate information on whether they were paying the right amount of tax. In these circumstances it’s been instructive to study excerpts from a meeting on 16 November when the European Parliament’s Special Committee on Tax Rulings questioned eleven multinational groups on their corporate tax practices. Topics discussed included the OECD’s base erosion and profit shifting (BEPS) proposals, transfer pricing practices, proposals for mandatory country-by-country reporting on profits, taxes and subsidies, and the EC’s relaunched consultation on a common consolidated corporate tax base (CCCTB). The organisations questioned were: Google; Facebook; Amazon; HSBC Bank; Barclays; Philip Morris International; IKEA; Coco-Cola; The Walt Disney Company; McDonald’s and Anheuser-Busch InBev. Two other multinationals had declined invitations to participate – Walmart because their EU footprint is far less extensive than the other companies invited, and Fiat Chrysler Automobiles because of pending legal action regarding alleged state aid which they deny receiving from Luxembourg. Most of the companies supported greater transparency. Philip Morris International agreed that tax regimes should be transparent between tax-payers and tax authorities, and they supported transparency between tax authorities. Google said they had long advocated a simpler, more transparent tax system. The Walt Disney Company said they valued a positive relationship with governments and tax authorities based on fairness, transparency, integrity and trust. HSBC Bank acknowledged the unacceptable culture and practice that had come to light through their Swiss leaks seven years ago, and welcomed the new common reporting standards for the automatic exchange of information. On effective tax rates, Coca-Cola confirmed that their 2014 annual financial statements showed that the company paid approximately $2.2bn in corporate income tax globally – being a rate of 23.6% which was in line with the OECD average. European Taxation Commissioner Pierre Moscovici described EC proposals on tax transparency as ‘revolutionary’ and ‘a first step towards more transparent and fairer taxation in the EU’. Information exchange between member states will become mandatory, and will include the EC so that it can initiate infringement procedures if necessary. Google spoke about developing intellectual property in Ireland, admitting that the tax rates there were attractive. They also said they had used a ‘double Irish’ structure adopted by many US multinationals and explained that, in spite of press speculation about tax avoidance, the structure has no impact on the amount of tax they pay across various EU countries. On being questioned about substantial related licence fees being paid to Bermuda, they claimed that the arrangement defers only US tax and allows them to keep that money to fund investment in Europe. European Competition Commissioner Margrethe Vestager called for the introduction of CCCTB, insisting that enhanced co-operation within a group of member states wouldn’t deliver the same benefits. She also called for the automatic exchange of information on tax rulings to allow the Commission to work in a dedicated, fast and just manner. Anheuser-Busch InBev supported the call for CCCTB. They said that a corporate tax regime must be based on three key principles: simplicity to reduce administrative burden; legal certainty for companies and tax authorities alike; and stability to help companies plan for the long term. They believe that CCCTB could help implement these principles in Europe, while encouraging companies to invest more in Europe, creating jobs and driving the growth and competitiveness of the EU economy. Philip Morris International supported CCCTB and believed it should be combined with a single EU tax rate. The Walt Disney Company said that they see a place for unilateral or bilateral tax rulings as appropriate mechanisms to create certainty for both governments and businesses. Pascal Saint-Amans, Head of the OECD Centre for Tax Policy and Administration, described the OECD’s BEPS action plan – including measures to increase transparency, close tax loopholes and fix mismatches, eliminate ‘double non-taxation’, regulate patent boxes and prepare for challenges arising from the boom in the digital economy. Amazon hoped that enough countries would participate in the OECD’s new multilateral treaty, so that BEPS reforms are implemented on a co-ordinated basis. They also wanted countries to adopt the OECD’s contemplated revisions regarding reasonable rules on profit and loss allocation, and to provide reasonable and effective mechanisms for binding arbitration. Likewise, McDonald’s saw a need for a focus on the co-ordination of dispute resolution by countries. OECD Secretary-General Angel Gurria felt that the proposal to promote transparency by obliging multinationals to publicly report on their activities, profits and taxes on a country-by-country basis was a bridge too far at this stage. Most of the companies were unenthusiastic about country-by-country reporting, especially if these mandatory reports were to be made public, and objected to the administrative burdens they would impose. Nonetheless, Philip Morris International said they had no objections to the OECD's proposal for country-by-country reporting. Barclays went further, praising the good work undertaken on country-by-country reporting; they explained that they already publish, alongside their annual report, a highly accessible country snapshot that sets out clear details and explanations of turnover, employee numbers, the profits they generate and the taxes they pay in each country. There’s no doubt that multinationals are increasingly conscious of the reputational risks associated with their tax affairs and many are keen to explain their approach to tax. A report by PwC published in May 2015 [PDF] showed that over half of the FTSE 100 now disclosed their approach to tax in some way. No doubt the organisations questioned by the committee hoped that their answers would go some way to addressing the concerns of MEPs and also the general public. 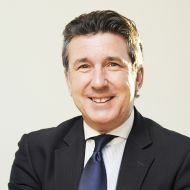 As ICAS Chief Executive Anton Colella noted recently, the OECD’s BEPS package is crucial in creating a more transparent and fair regime for global tax and we must see action by governments around the world to put the OECD's measures into practice.